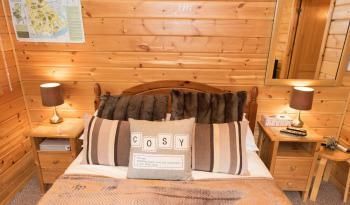 The Beech Log Cabin sleeps a maximum of two guests and has a 24hr Private Hot Tub outside the cabin door Inside, the main room has a double bed, wall mounted 2kw electric fire, Table and chairs, 40 inch flat screen TV with DVD player From the main room there is a small side room containing a wardrobe, Fridge, kettle, toaster, cutlery, crockery and plastic wine & champagne glasses for use in the Hot Tub. 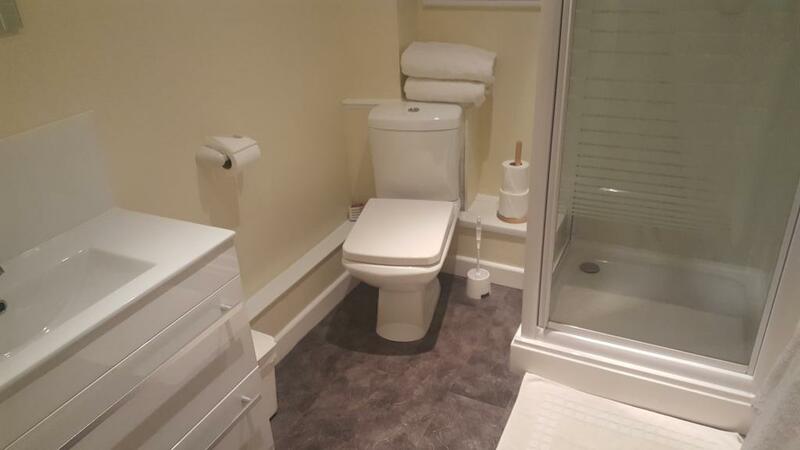 Ensuite facilities include a standard electric shower, WC and sink, also provided are bathroom towels, robes, hairdryer and all linen. 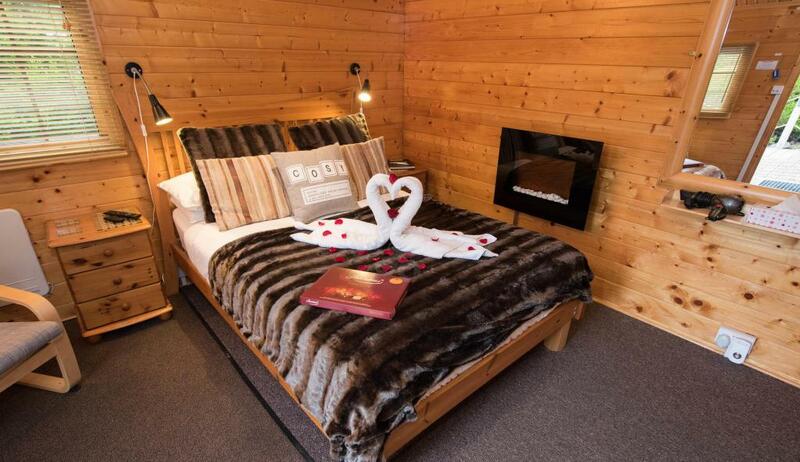 The Oak Log Cabin sleeps a maximum of two guests and has a 24hr Private Covered Hot Tub outside the cabin door. On the decking area directly outside the cabin a patio table and chairs are provided. 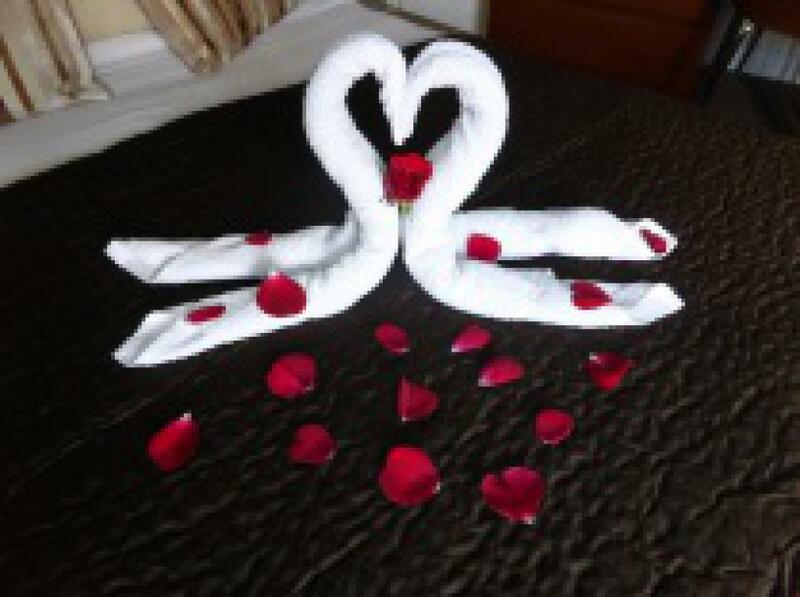 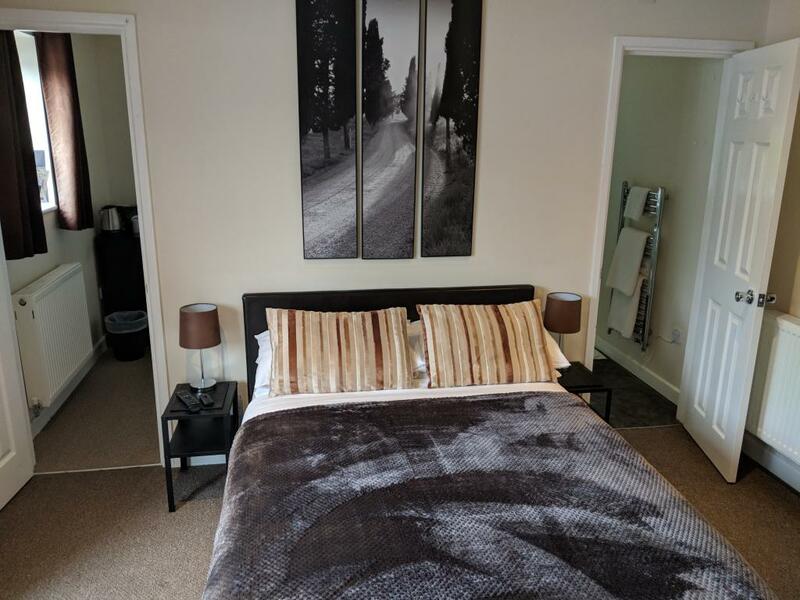 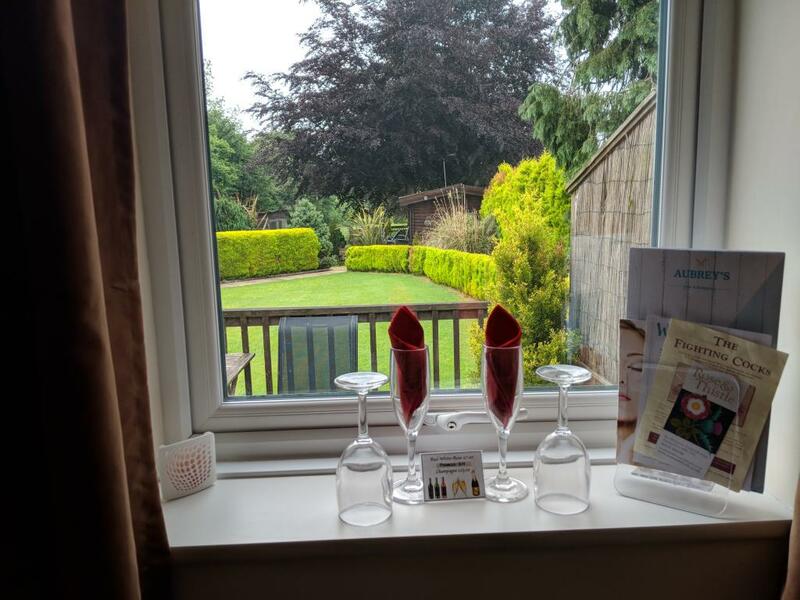 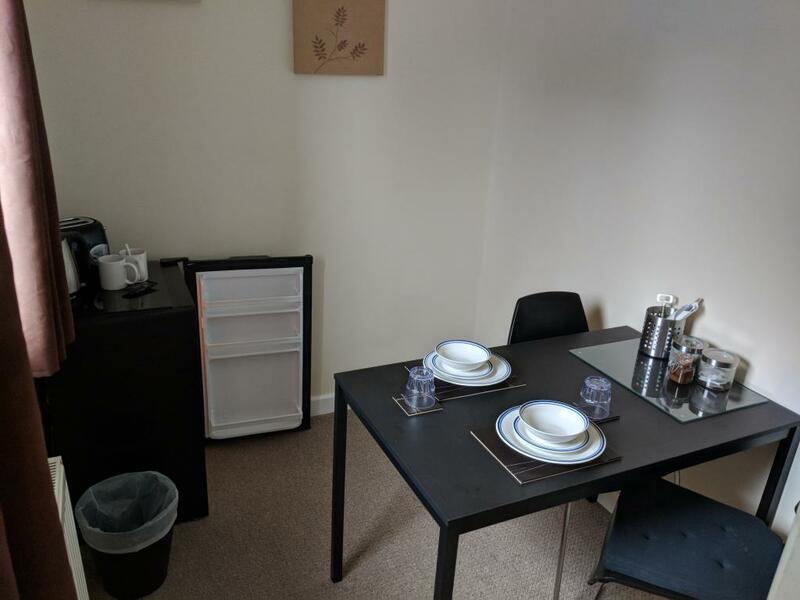 The main room has a double bed, wall mounted 2kw electric fire, 40 inch flat screen TV, DVD player, Fridge, kettle, toaster, cutlery, crockery and plastic wine & champagne glasses for use in the Hot Tub. 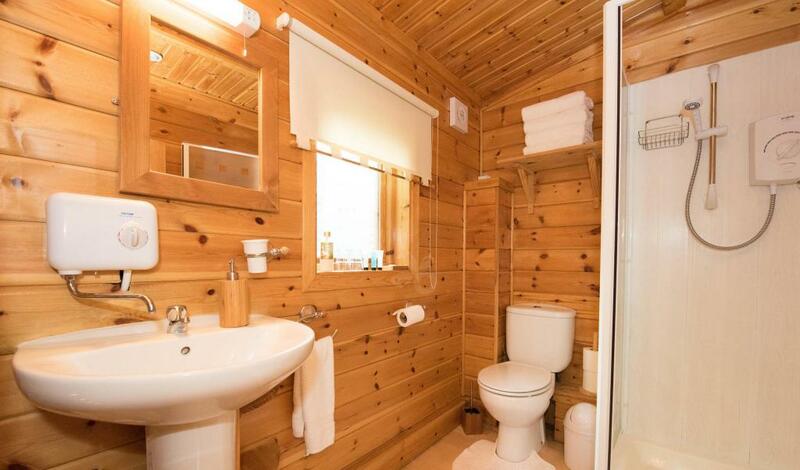 Ensuite facilities include a standard electric shower, WC and sink, also provided are bathroom towels, robes, hairdryer and all linen. 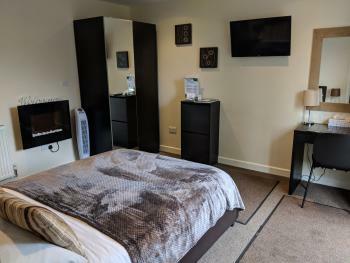 The brick built Spa Annex sleeps a maximum of two guests and has a Private exclusive use Hot Tub outside the door which can be used between 9am-11pm daily Inside, the main room has a double bed, wall mounted 2kw electric fire, Single wardrobe, Table and chairs, Flat screen TV with built in DVD player, plastic wine & champagne glasses for use in the Hot Tub. 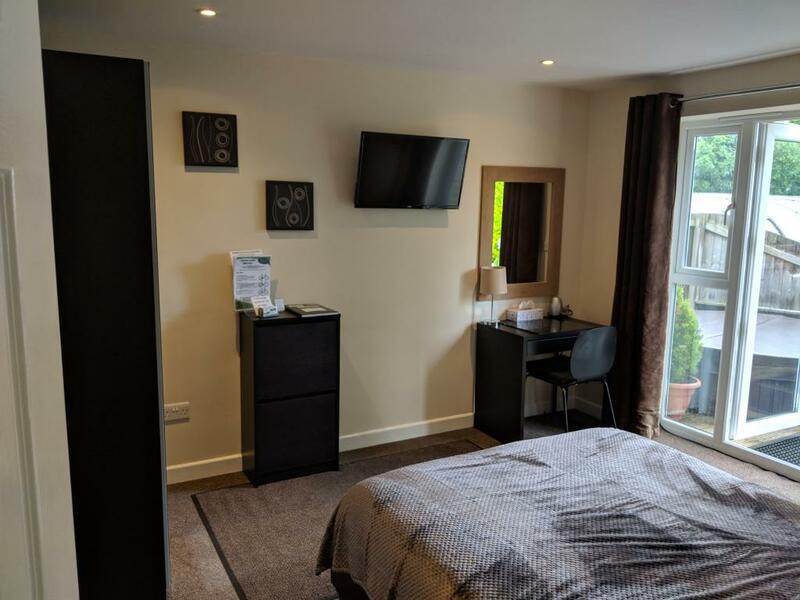 From the main room there is a small side room with table & chairs / Fridge / toaster / kettle / Cutlery etc Ensuite facilities include a standard electric shower, WC and sink, also provided are bathroom towels, robes, hairdryer and all linen. 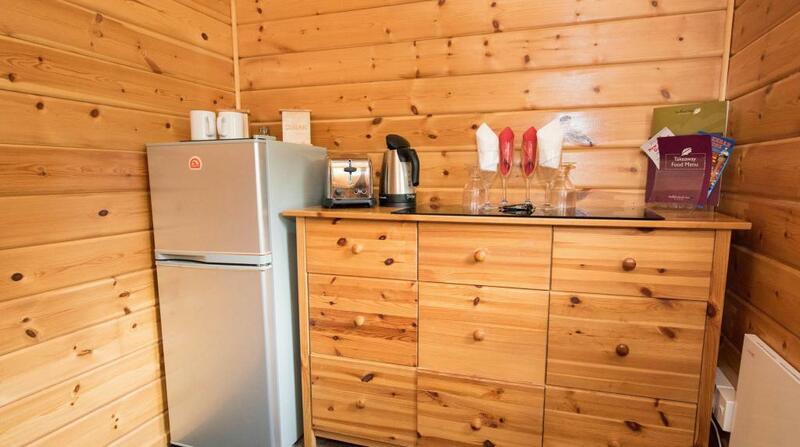 The brick built Double Room Annex sleeps a maximum of two Adults. 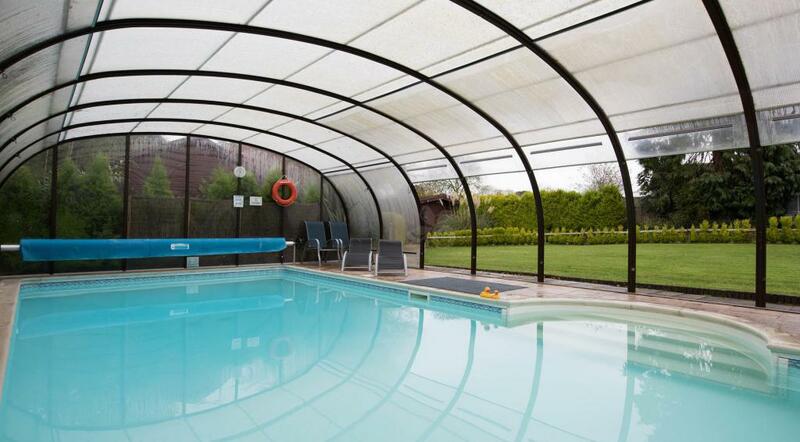 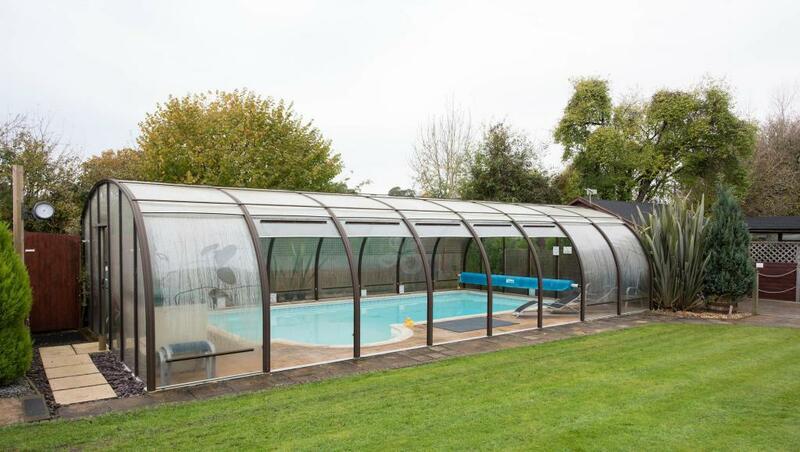 Includes a Private decking area, overlooking the swimming pool and Garden. 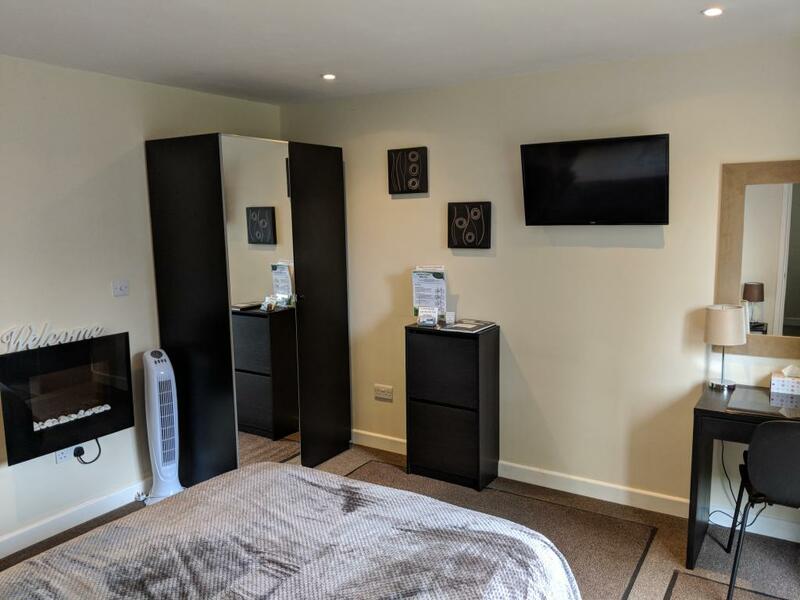 Inside, the main room has a double bed, wall mounted 2kw electric fire, Wardrobe, Table and chairs, Flat screen TV with built in DVD player, Fridge, kettle, toaster, cutlery, crockery and wine glasses. Ensuite facilities include a standard electric shower, WC and sink, also provided are bathroom towels, hairdryer and all linen. 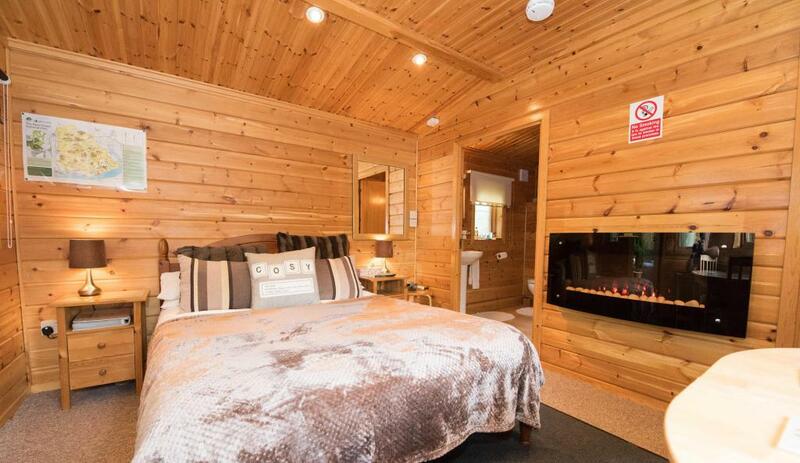 A unique getaway to your own Log Cabin with a private Hot Tub outside your door & swimming pool in the summer months. 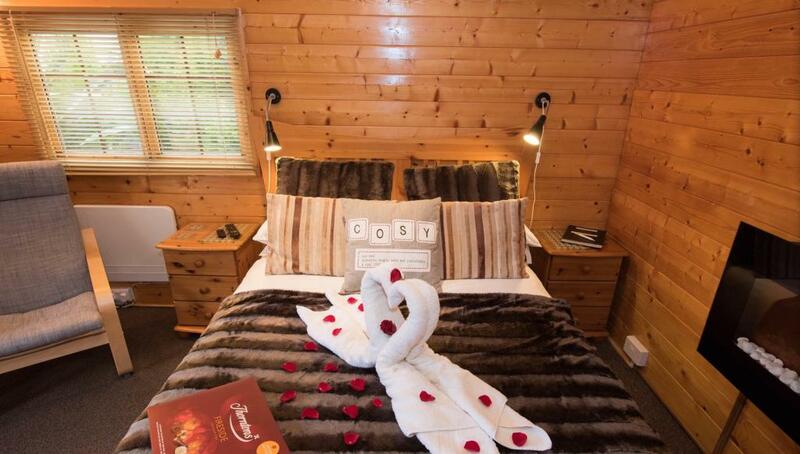 Cypress Log Cabins offers Adult only spacious accommodation, a lovely view of the pool and gardens and an in room continental breakfast. 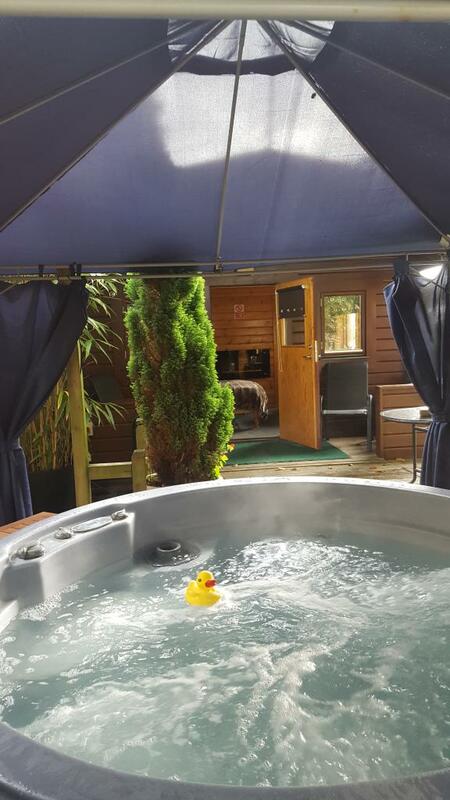 Take pleasure in the astonishing view of the stars in the night sky from the comfort of the relaxing hot tub within The New Forest National Park, and a great opportunity to hire bikes on site and discover the wildlife and natural beauty of the park, this is the perfect place to relax and rejuvenate. 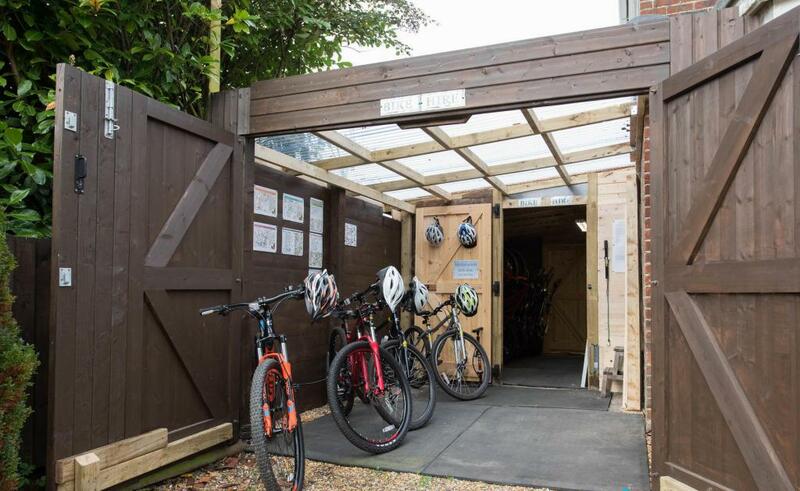 Selection of men's and women's mountain and hybrid bikes for daily hire A range of alcohol is now available to purchase on site 11am-11pm daily. 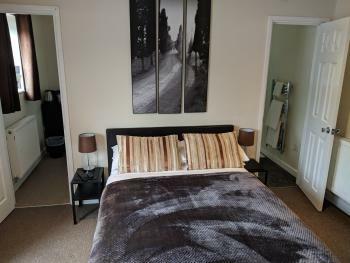 There are three local places to eat just 400 yard walk either direction from the property.